Hello everyone, today I want to share a funny little Story with you. A few days ago my mother forgot her mobile phone in her pants and well, you guessed right, she put them into the washing machine. The mobile phone did not survive this and she had to buy a new one. But there was a problem with her new mobile phone: A normal SIM would not fit into it. (My mother still had a normal SIM card since her mobile phone was already quite old) I had to find a solution since my mother really needed her mobile phone and since it would be useless if nobody could call her, I tried my best to get it working. 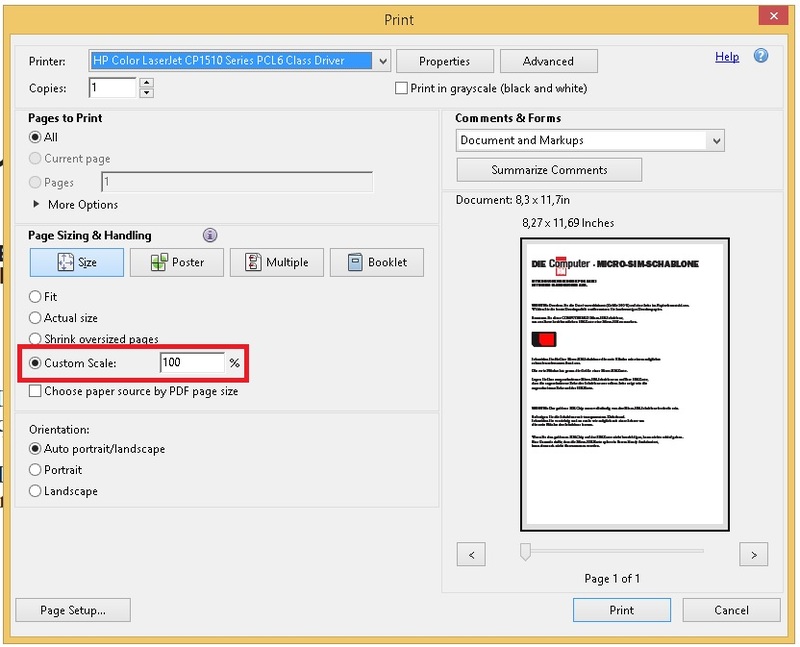 Now print the Micro SIM template. Important: Make sure to set the Scale to 100%. 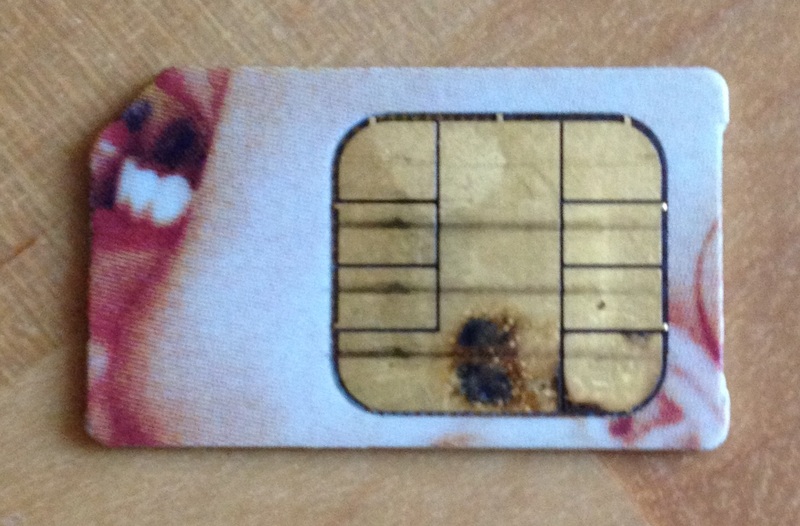 Now put the template onto your SIM card (use some duct tape if necessary) and cut it into the right shape. Sorry for the bad picture quality. As you can see the shape is not perfect but it works. Well and this solved the problem. 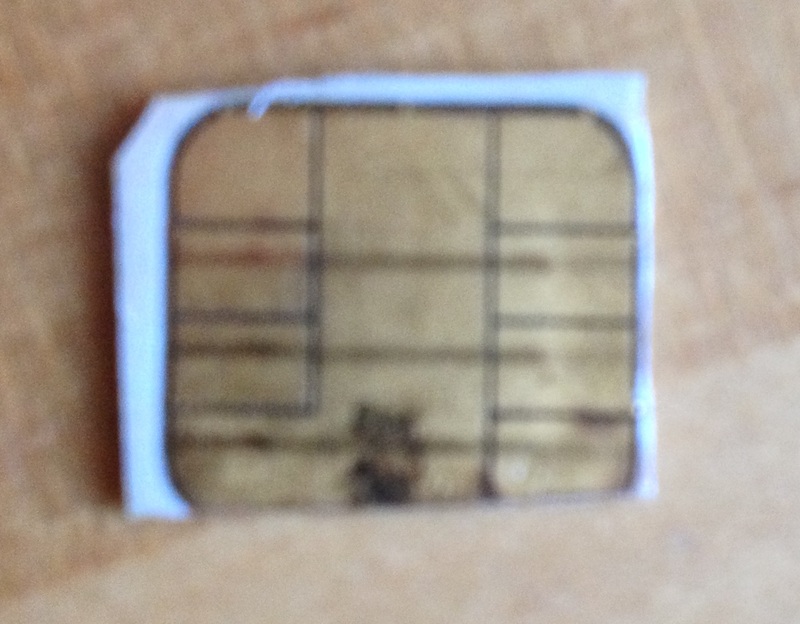 The now Micro SIM card fit almost perfectly into my mothers new mobile phone and worked as expected.